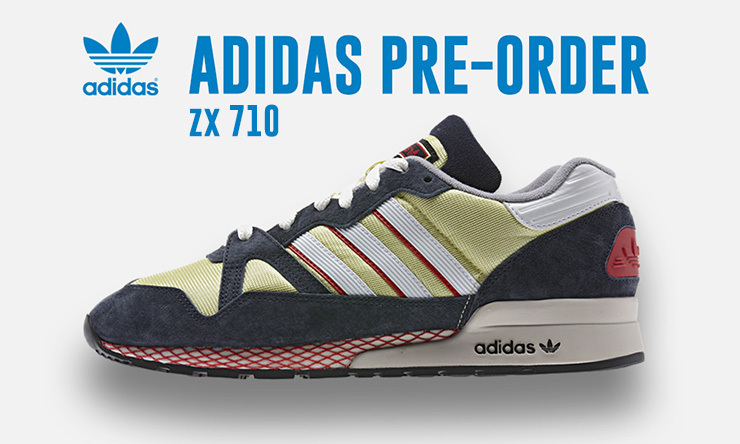 Vintage styled re-issue of the ZX 710 from Adidas featuring a citrine legend ink and neo white colourway with white three stripe detailing. Originally released in '87 this shoe started life as a high end athletic shoe but was quickly adopted by advocates of "casual" culture. The webbing details and heel branding panel give this shoe a real retro feel that is accentuated by the colours. 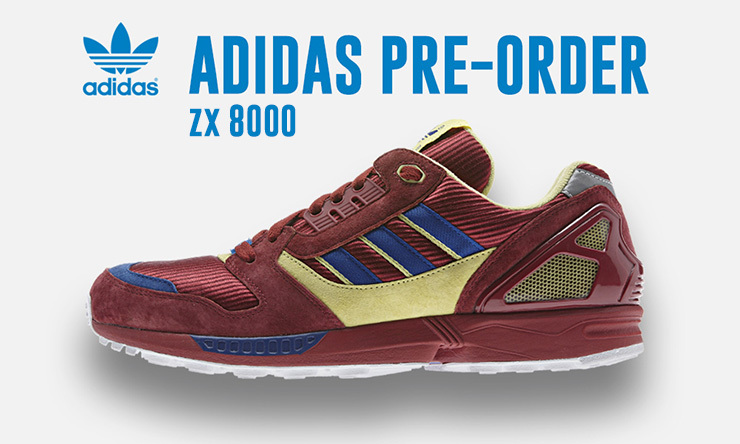 This 25th Anniversary re-issue of the ZX8000 is presented in a stand-out clourway of red, citrine and collegiate blue. First launched in 1989 this shoe is a classic design from the Adidas archives. Featuring a synthetic suede and mesh upper and reflective detailing this sports shoe has a distinctly techy feel. 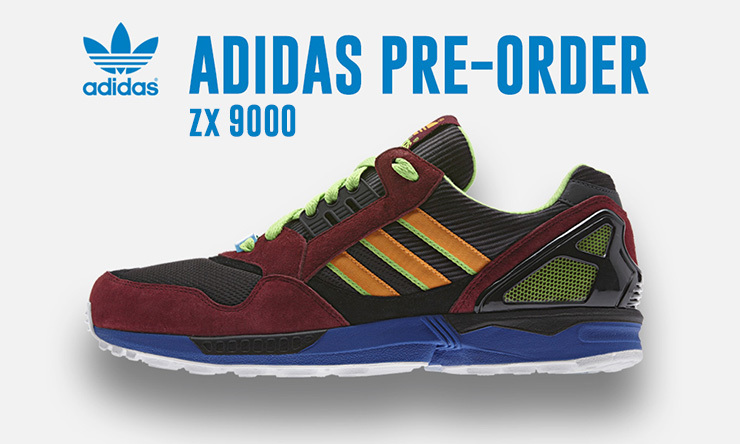 This 25th Anniversary re-issue celebrates the iconic ZX 9000. Launched in 1989 the trainer immediately went on to set a world record at the Rotterdam Marathon. This tech influenced colourway is presented in dark brown, macaw ad zest. The synthetic suede and mesh upper is complemented by silver reflective detailing and the three stripe branding.